We all have that phone charger that's frayed at the end, about to fall apart, and you have to wiggle it a few times just right to get it to start charging. Well, gone are those days... 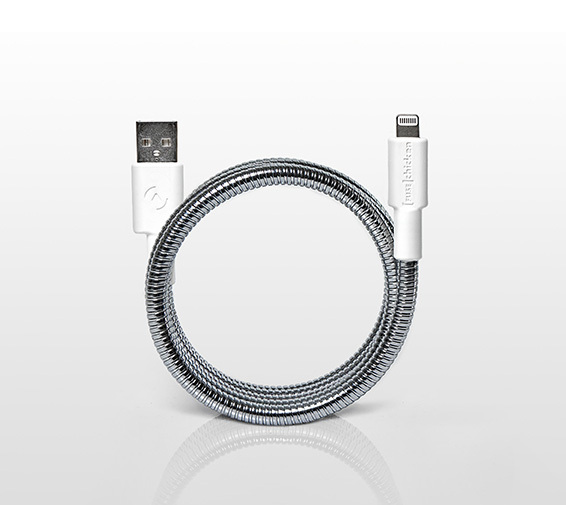 The Titan Lightning Cable is an extremely durable, tough, and long lasting apple device charger that is constructed using two layers of flexible stainless steel, which allows it to bend and keep it's shape no matter what kind of odd shape you put it in. 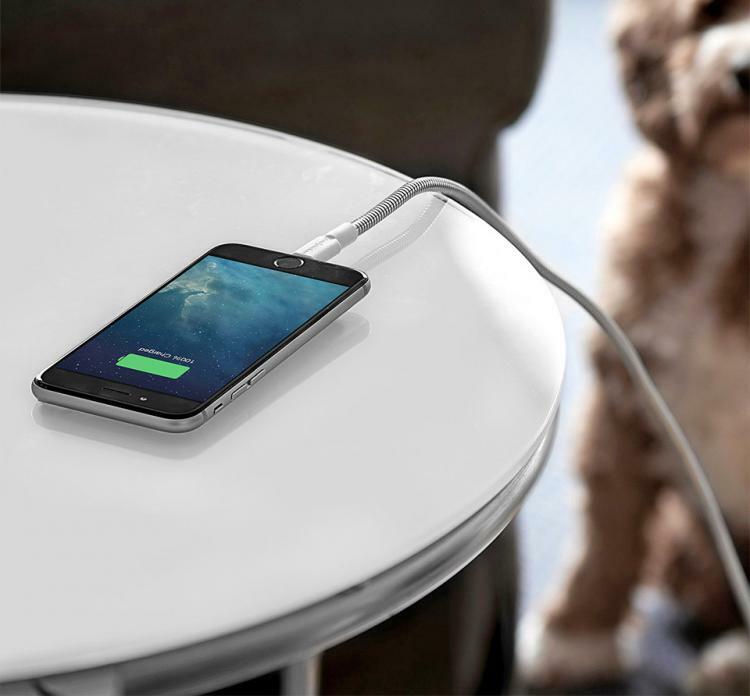 No longer will you have to buy a new charger (and a new puppy) every time your dog chews up your charging cable. 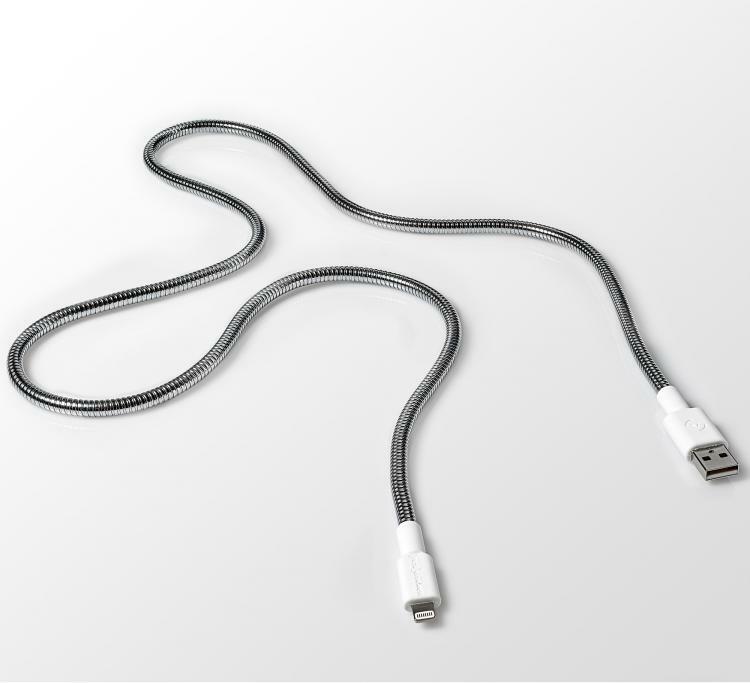 With the new Titan Lightning Cable no dog, human, or lion could bite its way through the double layered stainless steel. 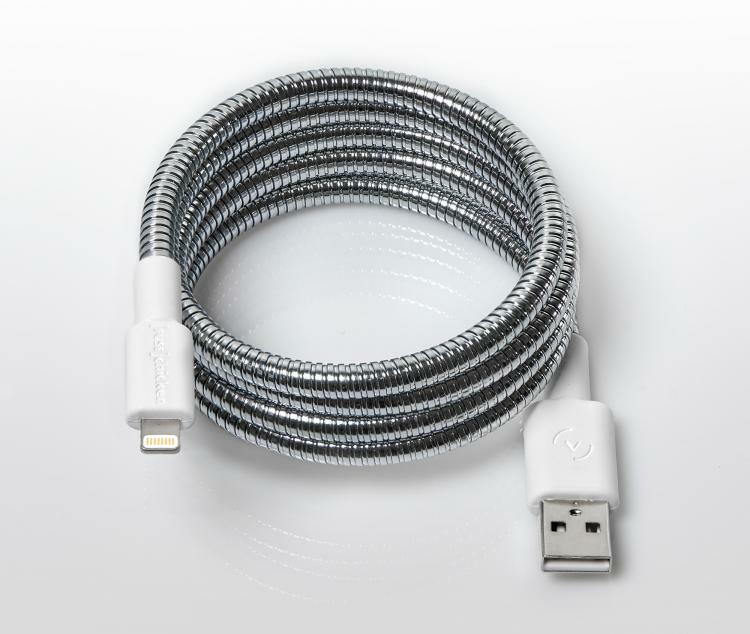 Made by Fuse Chicken, a maker of high-quality and flexible phone chargers, the Titan Lightning Charger is compatible with all Apple devices with a lightning port, is able to be plugged into any wall adapter, battery charger, or laptop to charge your devices, measures 3.25 feet long, and weighs 5.7oz. 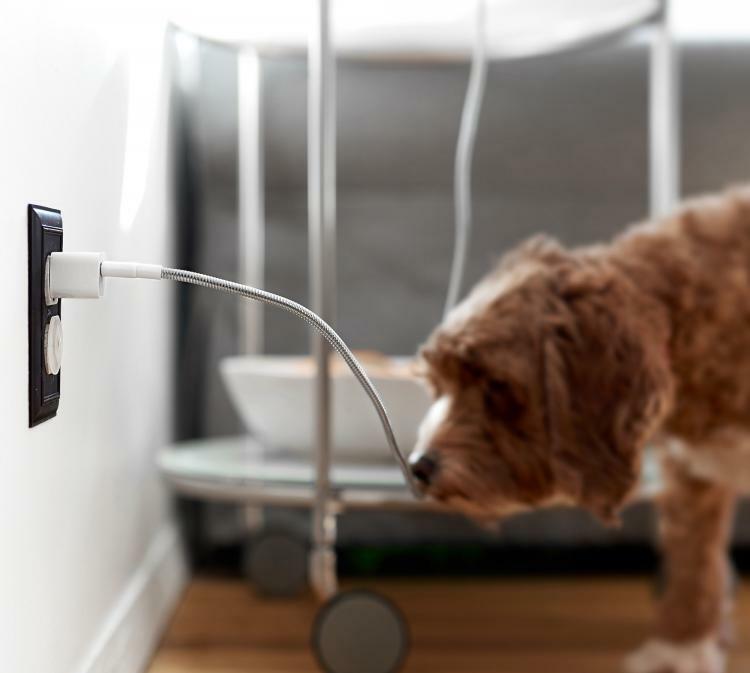 The Titan Apple Charger is Apple approved with an MFi-Certification, has a sealed one-piece body housing that keeps the connectors in place, is made to last for life, and is backed by a limited lifetime warranty. Check out just how strong and tough the Titan charging cable is via the video below where they attempt to chainsaw it in half, run over it with a car, hang from it on a tree branch, throw it off a building, and yet still have it power their phone in the end.